It’s time once again to put together your hurricane preparedness kits for you and your animals. I’ve included a few links that may help with locating a shelter that will accommodate you and your pets in Florida and what to put in your pets hurricane kits. We have a very recent development in our home. Micki, our little Safe Haven Rescue girl is a very sweet and VERY smart little girl but has always been a bit shy and fearful and still after 2 years jumps with any sudden movement or loud noise. If anyone remembers the little hail storm we had about a week ago or so in the Sarasota/Bradenton area, that’s the storm that sent her into a tail spin. We don’t have a Thunder Shirt yet but for now I ask if she wants to put her jammies on (it’s really her sweater) and of course the answer is always Yes! And we are now using Rescue Remedy. Just few drops on both front paws seem to be very helpful. You can usually find Rescue Remedy for Dogs in your local health food store. I know Whole Foods carries it. Also, Oscar, our little Yorkie boy isn’t very patient with Micki when the storms begin and she becomes frantic, which is going to be a little worrisome due to the fact they kennel (crate) together in the same Ex-pen and have done so from day one. Another Ex-pen I’m thinking! Why I bring it up; it’s something for you to consider especially if you have bigger dogs, weather your home or away from home. That is a situation that can quickly get out of control. I would also encourage you to update your collars and leashes. I did see a Thunder Leash that I thought was a very good thing. You most certainly do NOT want your pup to spook and get away from you in any circumstance especially in bad weather. Be Prepared….Be Safe during this hurricane season. I have seen firsthand the sadness of displaced pets and their owners in the aftermath of a hurricane. Just to recap: Thunder Shirt, Rescue Remedy, updated leashes and collars and a clear path to their favorite ‘safe’ place in the home (if you’re home is safe enough to stay in during a hurricane) and check out the other items that should be in your pets hurricane kit. I live in Florida so the links reflect that but you can Google information for pet and large animal hurricane preparedness in your state. A very unique place, where you can take your pets, your laptop, relax and enjoy the atmosphere. Reluctantly, Animals by Nature/Tree of Life Club will close their doors by end of September. Three years of building her dream, Marne, owner of ABN/Tree of Life Club, has been diagnosed with Breast Cancer and now must close her doors to brave the fight too many women in this country and around the world face each day. Sadly, Breast Cancer has become an everyday word. We hear it on tv, the radio and each of knows at least one person in their lives that have been diagnosed with this life threatening disease or worse, lost their life to Breast Cancer. Please support your local chapter, walk, raise funds, raise awareness. Breast Cancer doesn’t just affect those now having to switch gears in mid stream to fight for their lives, it affects each and every one of us! Kodi of SarasotaDog.com is such a happy and fun loving boy. He also says one of his brothers (a beautiful kitty) gets in him in to trouble all the time. 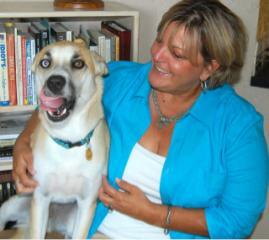 Kodi’s mom, Mary Lou, is the owner of SarasotaDog.com, the place to go for all things Dog in Sarasota, FL. It’s a must add to your favorites for the latest news in our canine community. Diamond Collars, Cadillac Beds & Crystal Bowls…..
Just back from the Doggy Diva Show. Lots of fun and some great information. If you missed the show you can go to www.wtmy.com and click on Audio Archive, and then look for the Doggy Diva Show. Help support Safe Haven Animal Rescue of Florida by going to www.myshoppinggenie.com/safehavenrescue While you’re saving tons of money you’ll be also saving lives!! What a fun night! It was a terrific end to a difficult day. Thank you to all who voted for Animal Chit-Chat for Sarasota Pet Choice Awards Best Animal Communicator!! It is always an honor to be asked to talk with someone’s most precious furry family member as well as the many unwanted animals in the community, there are so many! In a perfect world no child or animal would go hungry or endure the pain of abuse or neglect. In the meantime, Thank you to all who care for, work for and give loving homes to those who cannot care for themselves!! You make all the difference! Animal Chit-Chat will be at K9 Korral between 10-3 tomorrow, saturday 2/13/10 offering mini readings for $10.00. Bring your dogs or a photo of any pet you want to talk with. 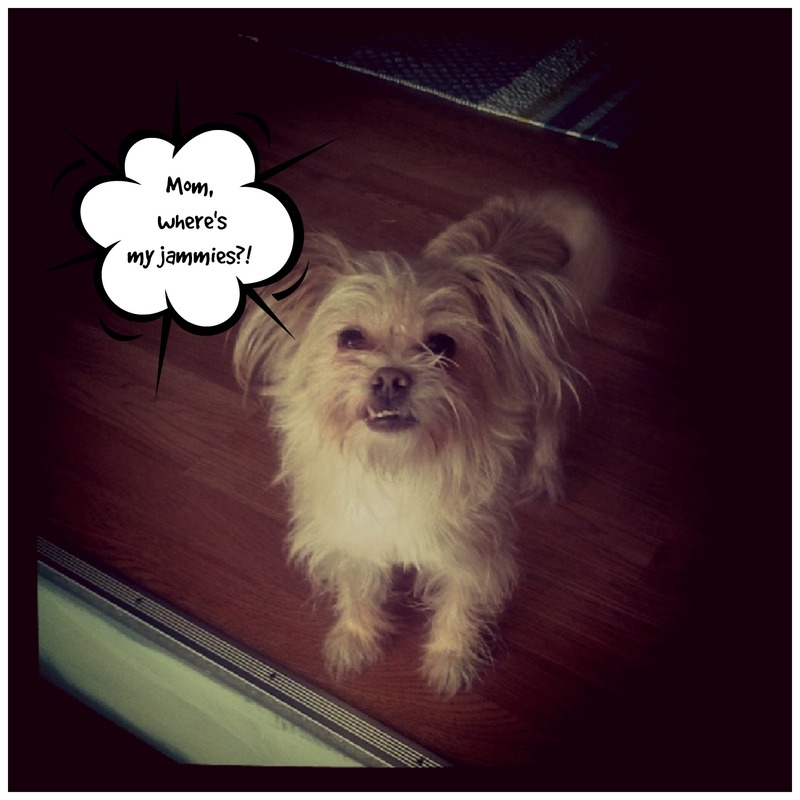 Your four legged kids have something to tell you…. :e) I like to keep thiings on the positive side; you might be pleasantly surprised to hear what your furry friends think. Click on K9 Korral for more information on this event. Many of you know me as Psychic to the Pets and as the name served me well, it also implied I only communicate with dogs and cats but actually, I am able to communicate with all animals, being the bridge between Humans and Animals. My “Testimonials” page has been relocated to this blog site and I’m still in the process of moving all of them over. I hope you’ll visit often to see the heartwarming testimonials my clients have so beautifully written for me. Please send your testimonials to lori@animalchit-chat.com I would be honored to post them. “In Memory Of…” is a new page dedicated to the animals now living on the other side of the Rainbow Bridge-Remembered by the people who loved them ~ unconditionally! If you had a chance to say just one thing to your special animal companion, what would it be? Now you can. Just email lori@animalchit-chat.com and include your name, your animal’s name and one, no more than two sentences you would like your special friend to hear. Check out my new site: www.animalchit-chat.com for more information about Animal Chit-Chat with Lori Michel, Animal Communicator. Whether you care for the largest of animals or the tiniest, a session with me will give you an insight into the amazing animal(s) you so lovingly care for. Portrait by Michelle Donner Photography and Website designed by dizyn.net – A BIG Thank you to both of you! It was truly a pleasure working with you!! First, let me start by saying my intention is not to tell you never to eat meat again or to turn you away from eating meat, man has been eating meat for centuries. However; my hope is to bring a little closer to the fore-front the treatment of animals we use for consumption. There has to be a better way! I realize we can’t ask the world to stop eating meat, eggs or cheese, etc… but we can certainly change the process to be at least humane. You’ve heard of the saying – “garbage in-garbage out” As you will read I experienced it myself and truly believe it to be so. It was a typical Saturday for me, running here and there to my appointments . In-between appointments I blew through a drive thru to grab a quick bite to eat. It smelled so good and I was so hungry, I took a bite and began to chew………I was overwhelmed with an awful feeling in the pit of my stomach. Instantly I felt this animal’s horrific misery suffered during her short little life. I took the food out of my mouth (sorry for the snapshot) and put it down with the rest of my order, told her how sorry I was for her, wrapped it back up, threw it away and to this day can not eat meat. We may choose not to see these animals as living breathing creatures of this earth or choose to believe they have no sense of pain, suffering or understanding, the fact remains, they are, and, they do! We’ve all seen the footage, in many processing plants, they are treated horribly, many endure great pain and some even sick. So now they’ve been processed and ready for eating – where do you suppose all that negative energy goes? Right into our bodies! What can I do? How can I possibly change this? If you’re asking yourself these questions then I have to answer with another question. How do we create any other change in this country? We stand together. Because until we do that, nothing will change. Maybe we choose to cut back on the amount of meat/eggs we eat. We can choose to eat the “free range” products. True, they are a little more expensive but the benefits far out weigh the dollar value when you think of what you’re putting into your body. All I’m asking is to keep it in mind the next time you go shopping – give it a try. Most stores have a “green” section now, it’s a minor little adjustment in how you buy is all. Are you hungry for change? I was afraid to click “watch the trailer” but was pleasantly surprise at how tastefully it was done! A movie I will want to see. Today is the first day of June! Can someone tell me what happened to the first half of this year? It flew by so quickly. I am happy to hear however; that despite these difficult times, lots of homeless pets are finding new homes. I’m expecting this month will find even more furry purry kitties playing comfortably with their new families because it is Adopt a Cat month, which, brings me to the Feline Flair. Feline Flair to benefit Animal Rescue Coalition (ARC), in it’s 2nd year, brings together at least 14 different shelter and rescue organizations for the purpose of finding their cats a purrrrr-fect home. Just look at Howie, he’s found his purrr-fect little playmate. You can find yours too at the Feline Flair or in one of your local shelter or rescue organizations. Safe Haven Animal Rescue of Florida, Inc.